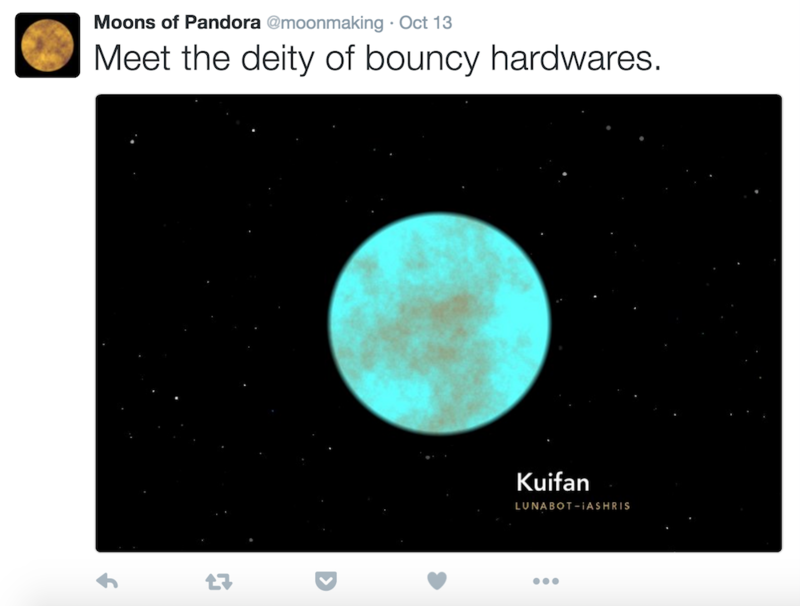 A Twitter Bot that makes fictional moons and posts their description every 30 minutes for no good reason. 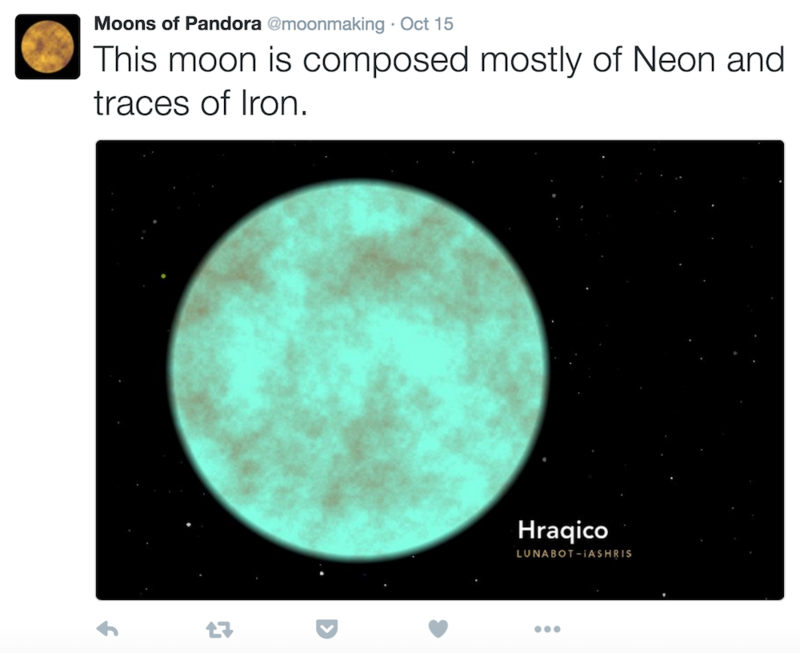 Moons of Pandora is a Twitter bot active since 24th September 2016 that creates fictional moons every 30 minutes. By create, I mean draw, assign a name, describe the moon and post a tweet about it. It works through a Linux Processing application running on an Amazon EC2 instance. The sketch uses Perlin noise to draw the moon an a basic templating structure to come up with the names and description. As of now, 1200 tweets have been posted by the Twitter Bot. 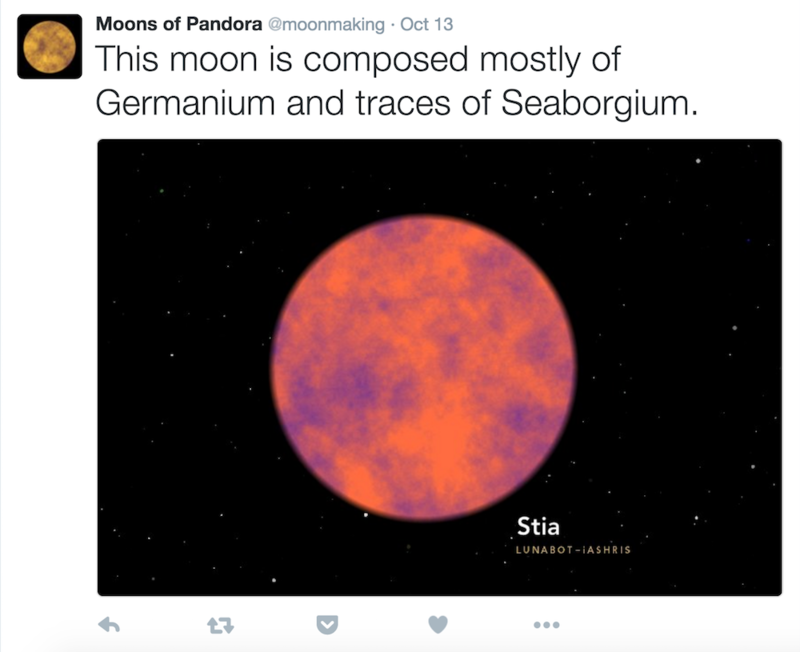 The patterns on the moon are generated via 2D Perlin mapping with two contrasting colors and the name and description with a wide array of building blocks that fit pre-defined templates. while some names can be downright absurd. 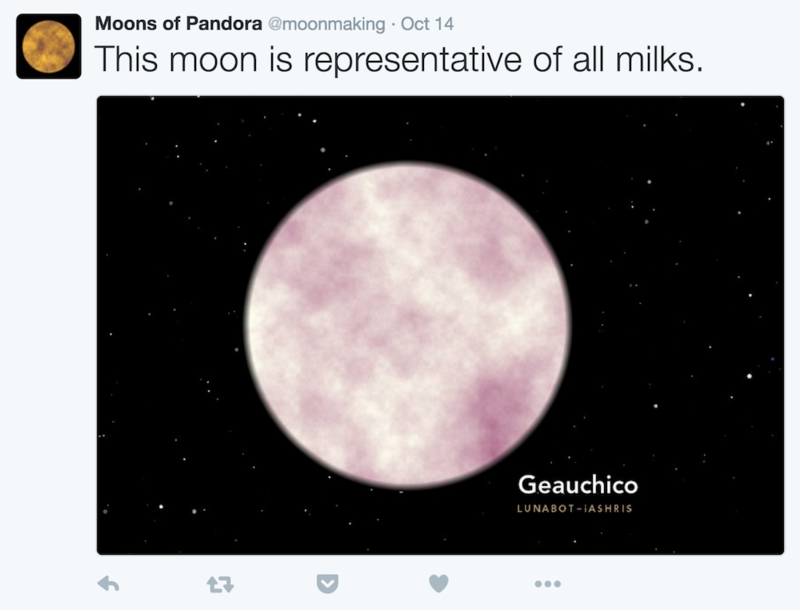 The size of the moon varies to adjust the position of the label group. 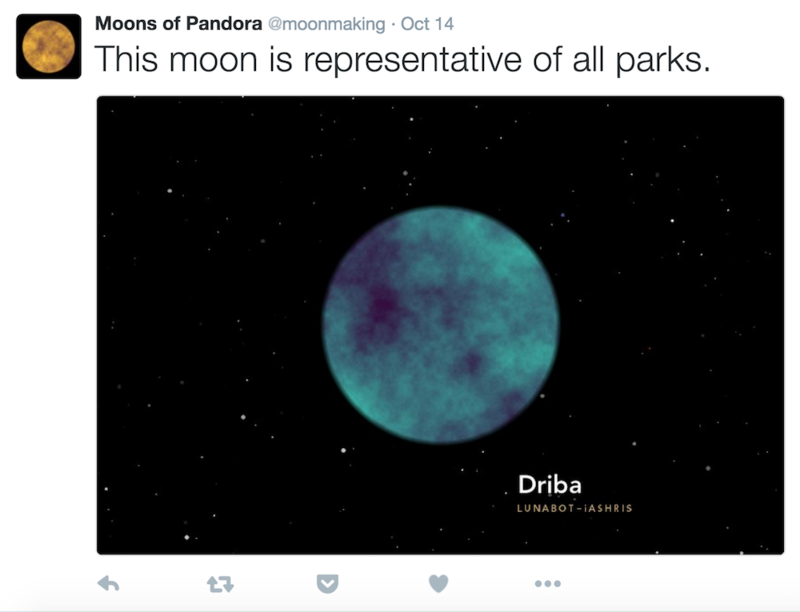 Some moons may resemble a star more than a moon. 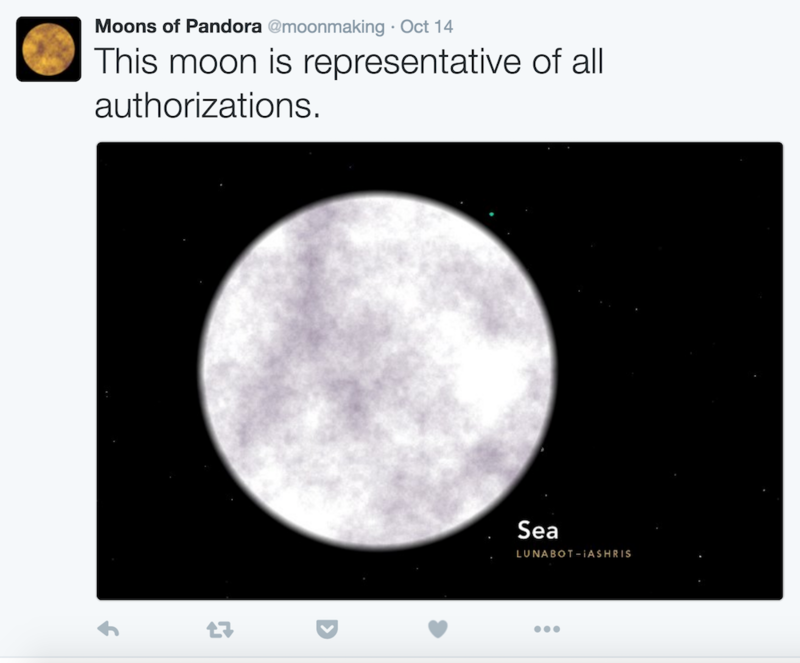 Some moons like this appear more real than others because of better shading. And some have uncanny corelation between the name and the image. 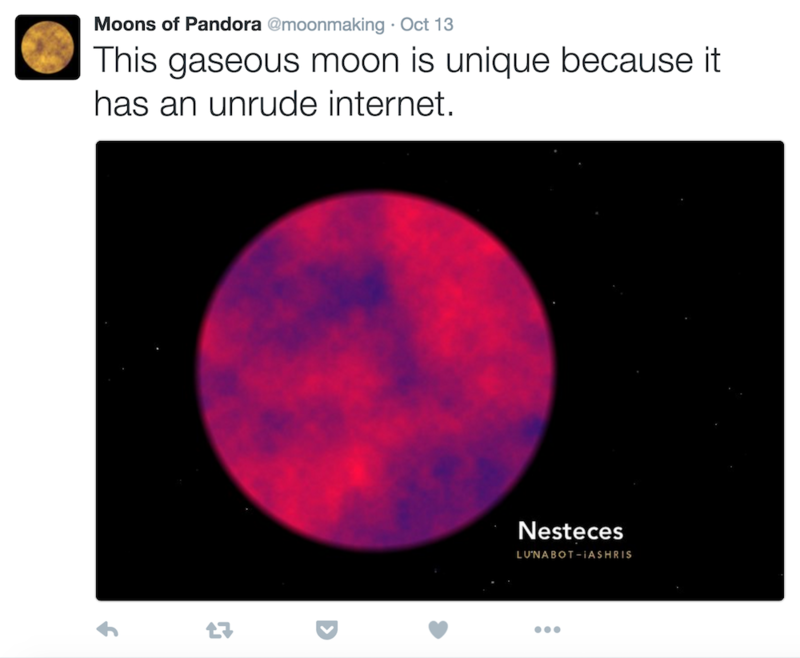 And some moons resemble what we think of a moon. 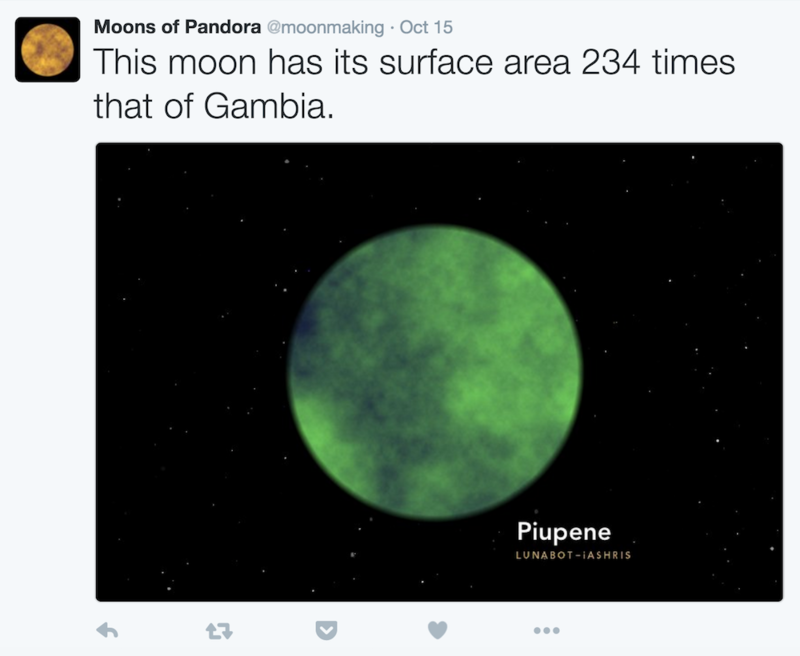 Some look like potential alien base camps. And the description can get creative. The pic is posted every 30 minutes via a Processing sketch running on an Amazon EC2 instance.